Intel rolled out a new motherboard at its developer conference that offers more power than a NUC, but less than the mini-ITX. A lot of exciting technology was on display at Intel's IDF conference last week, but traditional PC hardware seemingly took a backseat to smart devices and the Internet of things. So much so, in fact, that one exciting PC-related tidbit that could’ve made more noise than button-sized chips and Wake on Voice was lost in the shuffle: The introduction of new compact motherboard that sits between the mini-ITX and Intel NUC in terms of size. 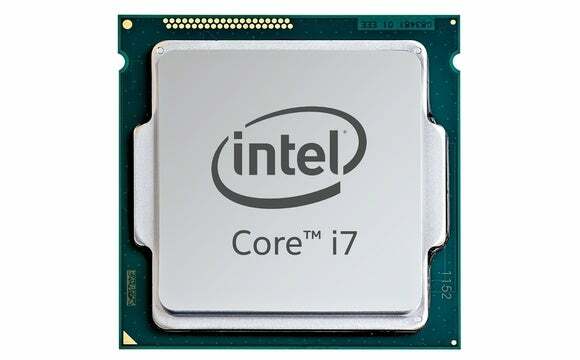 The addition now offers a wide range of possibilities for compact PCs, from the Intel Compute Stick all the way up to the aforementioned mini-ITX form factor. Dubbed the 5x5, the new motherboard doesn't quite live up to its name, measuring 5.5 inches by 5.8. Nevertheless, it’s still smaller than the 6.69-by-6.69 mini-ITX and a bit larger than the 4-by-4 NUC board. Unlike the NUC, which ships with chips soldered to the motherboard, the 5x5 includes an LGA socket to house an Intel Core processor of your choice, with support for 35W or 65W thermal designs. The board also works with both M.2 or traditional 2.5-inch SATA interface SSDs. The 5x5 offers two channels for SODIMM memory, like the smaller NUC, but it lacks a PCIe slot, meaning discrete graphics cards are out. For that, you’d have to look to a mini-ITX build. The basic idea with the 5x5 is to provide a motherboard with an upgradeable LGA socket that stays under the ultra-compact volume benchmark of one liter. That may not be the case if it’s loaded with a 65W processor and a 2.5-inch SATA drive, but a 5x5-based PC is still going to be far smaller than a mini-ITX system—with potentially much more bite than a NUC. The impact on you at home: Anyone looking to build a home theater PC that's still compact, yet more powerful than the NUC should be able to put the 5x5 to good use. With the right processor—say, the new 65W Broadwell Core i7-5775C chip with integrated graphics that outshine even AMD's vaunted APUs—even basic 3D gaming should be possible with less-strenuous titles. Information about pricing or a release date for 5x5 boards are not available.